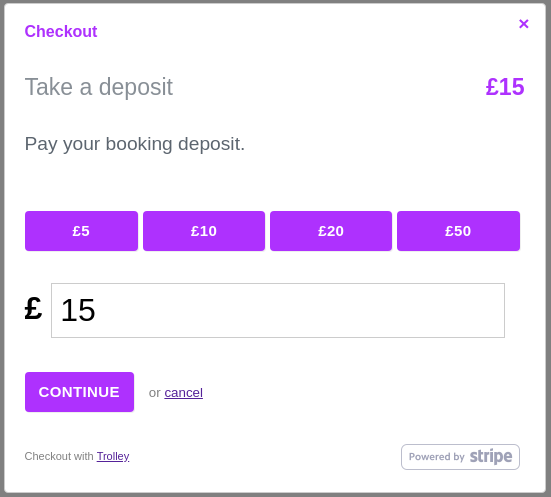 Trolley - take payments from any website. Subscriptions and one-time payments. Plumber? Take credit card payments online. Accept cards with no fuss. 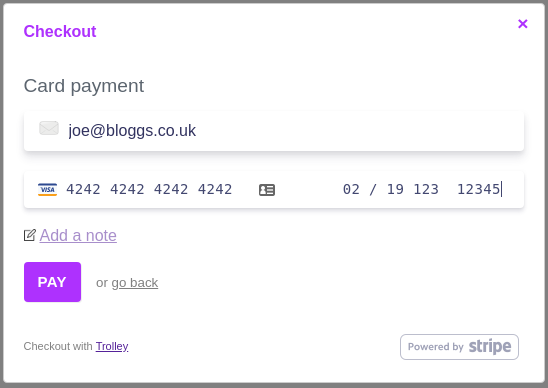 Trolley is the simplest way to take payments online. Get up and running in minutes, and pay nothing until you make money; it's commission-only. No setup costs. No surprises. Want to talk about flat rates, volume discounts, or reduced prices for charities & non-profits?